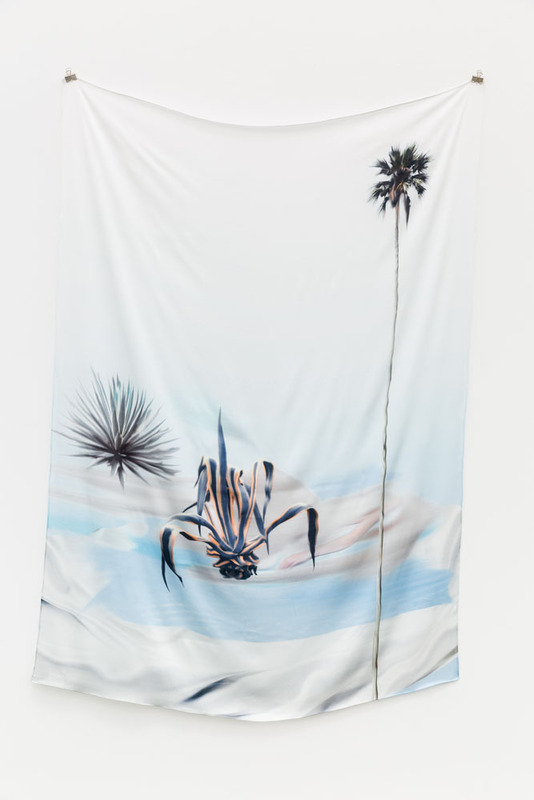 Anat Ebgi Gallery presents the exhibition Catfish, a group show featuring Petra Cortright, Kate Steciw, Letha Wilson and Margo Wolowiec. 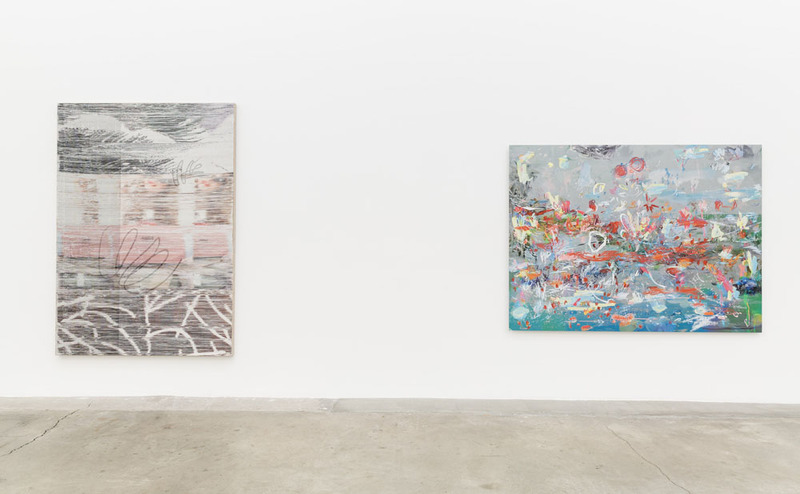 Composed of digital paintings, collages and sculptures, the four artists utilize varying kinds of mutable imagery–drawn from stock photography websites, social media and landscapes–as a representational vocabulary that intersects with physical presence. 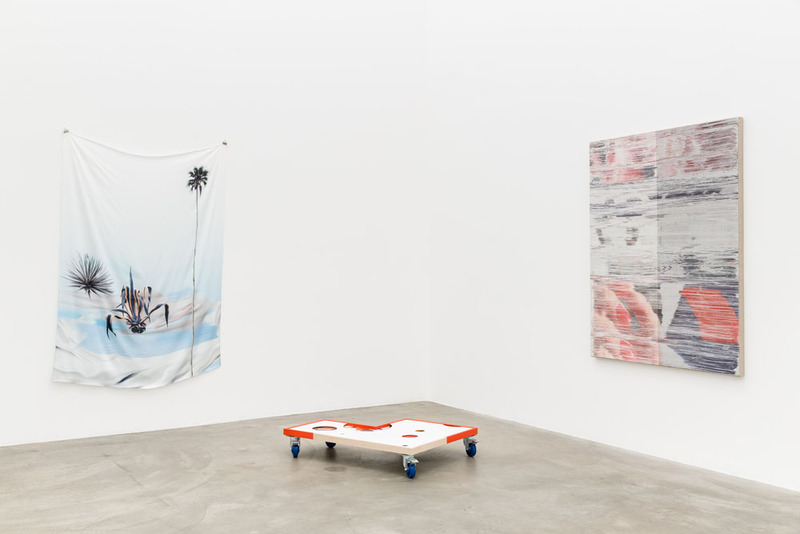 Taking its name from the internet slang “catfish”, or a person who takes on a false identity in social media, the show concerns the assemblage and dissemination of banal visual content through arbitrary and abstracted methods. 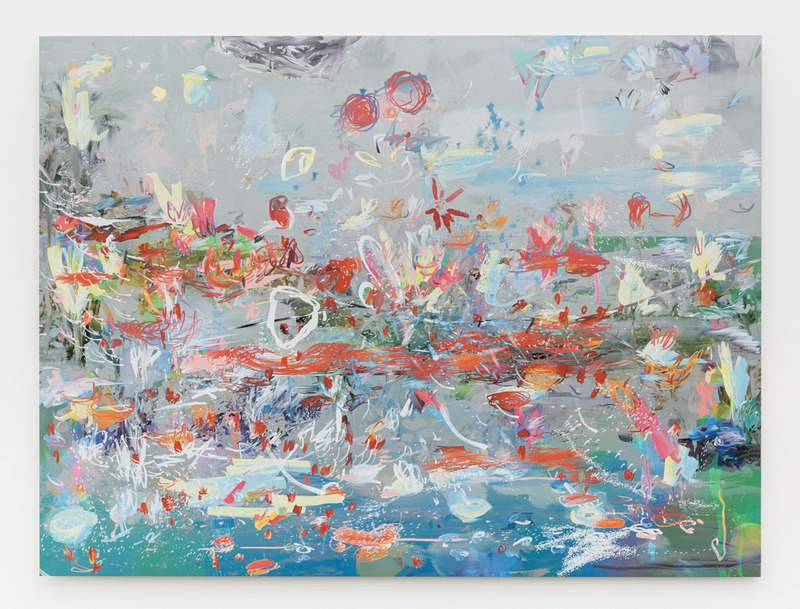 Petra Cortright’s paintings are composed of digital imagery upon various mediums including video and digital prints on aluminum and silk. 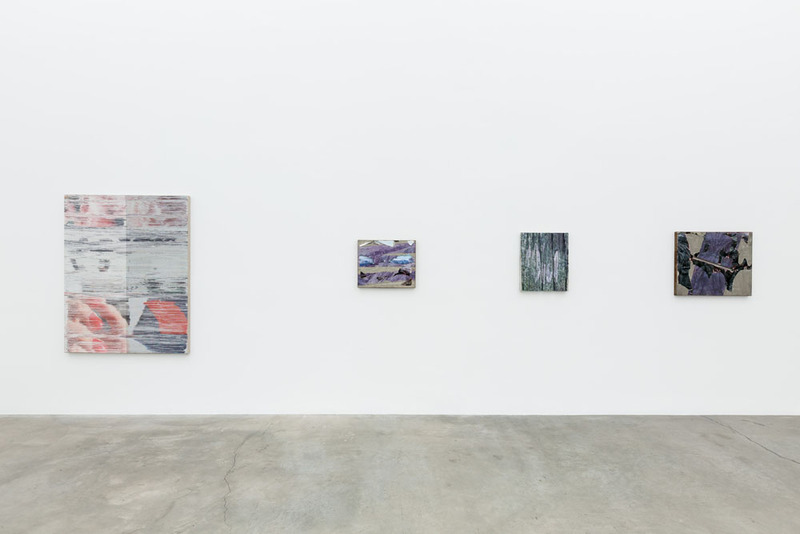 Her use of otherwise modifiable content becomes suspended in her two-dimensional works through her seductive use of material, gesture and narrative. 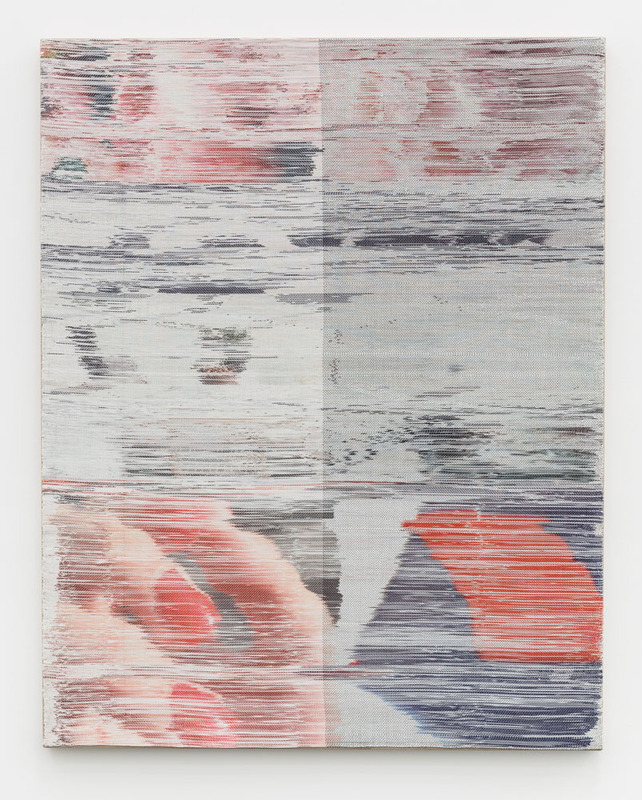 While Cortright digitally prints directly on silk and aluminum, Margo Wolowiec’s handwoven textile works are photoshopped compositions of manipulated ephemera pulled from Instagram’s digital archive. In her process of hand weaving, there is a loss in the translation of information—the work clothed in its transition between digital source and physical form. 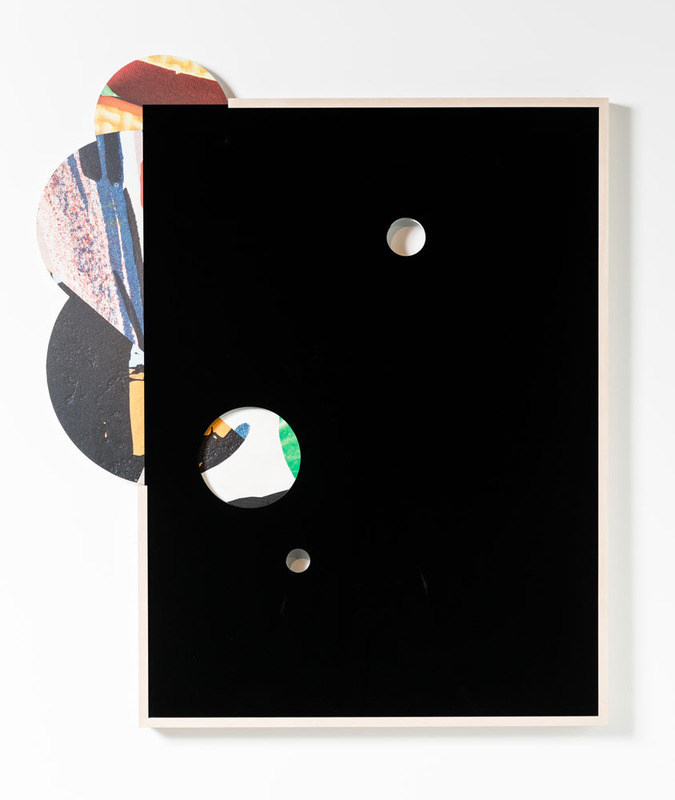 This appropriation of archived digital content is shared in Kate Steciw’s works. 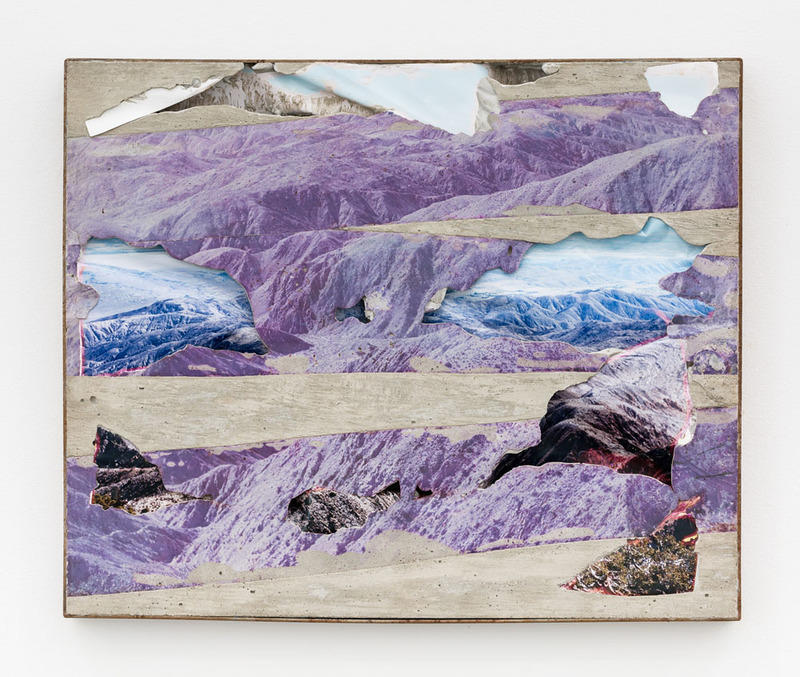 Using aggregated stock photography, Steciw’s dibond and plexi works are composed of images collaged through an associative logic not unlike that of a Google image search result. The collage, gesture and opaque framing renders the depicted forms illegible, lost in the intersection of their composition and presentation. Ideas of displacement are further explored in Letha Wilson’s work, in which landscape photography on C-print is sculpturally concealed with concrete and steel. 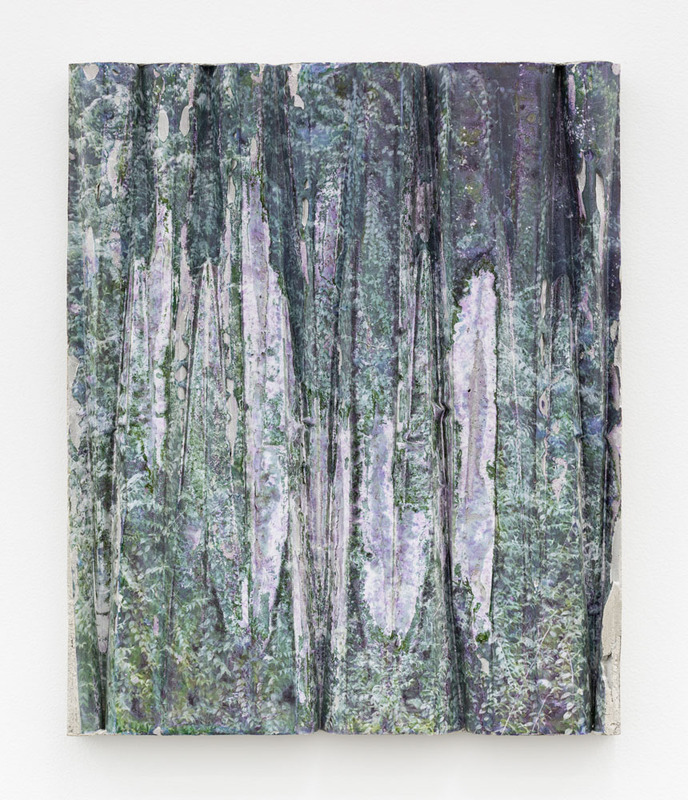 The jagged tectonics of each piece and the natural imagery resting upon them establishes this uncanny valley lying between representation and materialization. 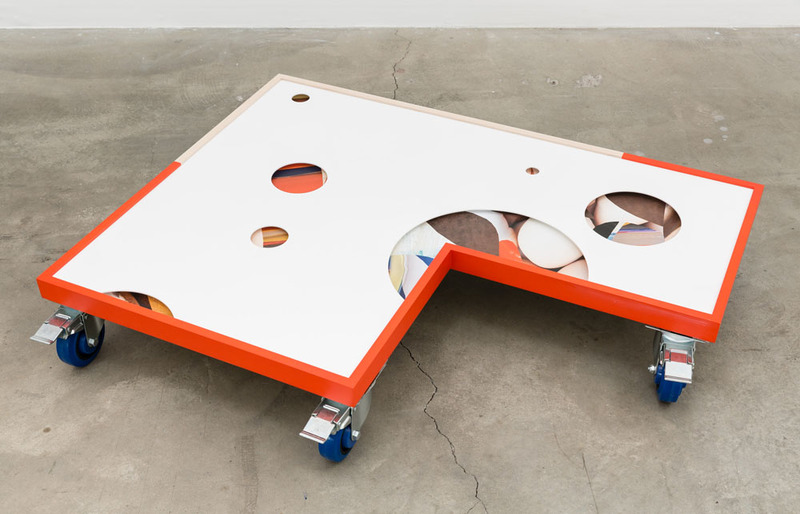 Worded in a representational visual language translated into the physical presence of objects, the artists’ works are brilliant diversions of absurdity and anonymity. Beyond the mask of visual detritus lies the naked syntax of the contemporary visual experience.